India is a nation that is both crazy and passionate about cricket. However, we fans are not to be blamed for this. We have been blessed with brilliant players for years. And these players have taken India’s name on the top of world cricket. Talking of our players, it won’t be wrong to say that they have an eye for beauty; starting right from beautiful play on the field to dating and marrying beautiful women. These beautiful women of the cricketing world add a different kind of charm in the cricketing world. We have made a list of the most beautiful wives of Indian cricket. From childhood sweethearts, to love at first sights, our cricketers have a pretty soft side to them too. Although Basra’s career in Bollywood was short-lived, she made sure that her relationship with India’s premier off-spinner Harbhajan Singh was a huge success. The couple kept the entire nation guessing about their relationship status until they finally tied the knot on October 29, 2015. She makes sure that she remains on the top of her glam quotient and that was perhaps enough for her to land on the top of this list. 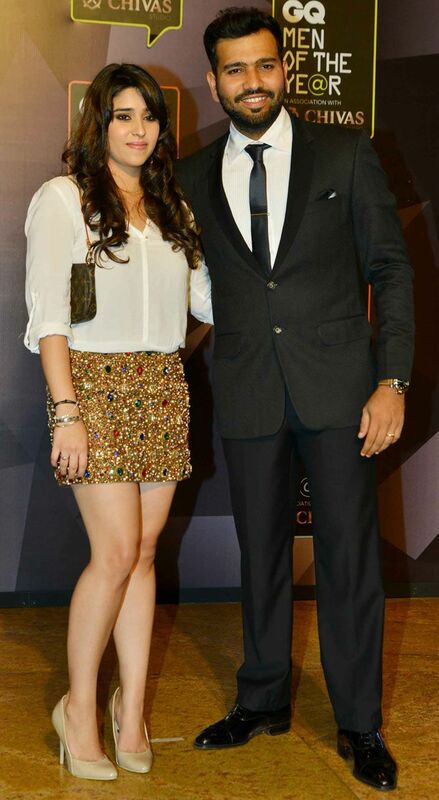 She is hands down, the prettiest and hottest wife of an Indian cricketer. Just like in her movie Bodyguard, where Keech’s character snatched away the best guy of the world, Keech in her real life has also done the same by marrying nation’s heartthrob and the prince of Indian cricket, Yuvraj Singh. The couple is one of the most glamorous sports couples not only in India but the entire world. And besides, who can forget Keech’s sizzling avatar in the item song aa ante amalapuram? Talk of star wives of Indian cricketers and Mayanti Langer’s name is always going to pop up. Langer is an incredibly beautiful woman. However, what makes her even more desirable is the fact that she has got beauty along with brains. She has been a sports journalist for over a decade and has covered and hosted various shoes on football and cricket. There is funny saying that perhaps her husband, Stuart Binny got more than he deserved and that says what this beauty is all about. Shikhar Dhawan is considered to be one of the hottest cricketers of India. So, naturally, he has a wife who matches him on the hotness quotient. Ayesha is hands down one of the most glamorous cricketer wives in the world. Another fascinating thing about her is that she is a mother of three, but has the looks and hotness that can give models a run for their money. Ritika and Rohit’s story is one made in the heavens. She was his sports manager for six long years, and the couple fell in love slowly, with each passing day that they were around each other. You’ll not know that Ritika is someone who never made a public appearance or tried her luck in the entertainment industry. Her super-chic attitude and great fashion sense have caught the attention of the media on a number of occasions. The couple tied the knot two years ago. The only reason why Sakshi Dhoni is not on the top of the list is because she is not the hottest of the lot. However, has this list been about the cutest wives of cricketers then there would’ve been no doubt that Sakshi would’ve found herself on the summit. She is blessed with a charming personality and has a serene vibe in the way she carries herself. She is the perfect wife to a great husband and also a wonderful mother to a beautiful daughter. She has the life that many would love to swap. Manoj Tiwary might not have fulfilled his entire potential as a cricketer, but he sure didn’t miss a bullet in finding a perfect match to be his life partner. Sushmita and Manoj dated for seven long years before finally getting hitched on July 18, 2013. Manoj recounts that it was love at first sight for him when he saw Sushmita and was determined at making her his life partner. If you look at Sushmita, you’ll know exactly what Manoj Tiwary must’ve felt. Who do you think is the hottest WAG of Indian cricket? Let us know in the comments below. Is It Possible To Look Beautiful Without Makeup? Can Hardik Pandya become India's next M.S Dhoni? Who Is Indian Cricket Team's Best Player? Will India Retain The ICC Champions Trophy Title? Do You Think Pandas Are The Most Adorable Animals On Earth? Are You Jealous Of The Most Pampered Dog In The World? Which Of These Is Your Favorite Cricket-Actress Couple? Do You Think A Marriage Can Always Retain Its Old Charm Just Like Sachin & Anjali Tendulkar's Relationship?